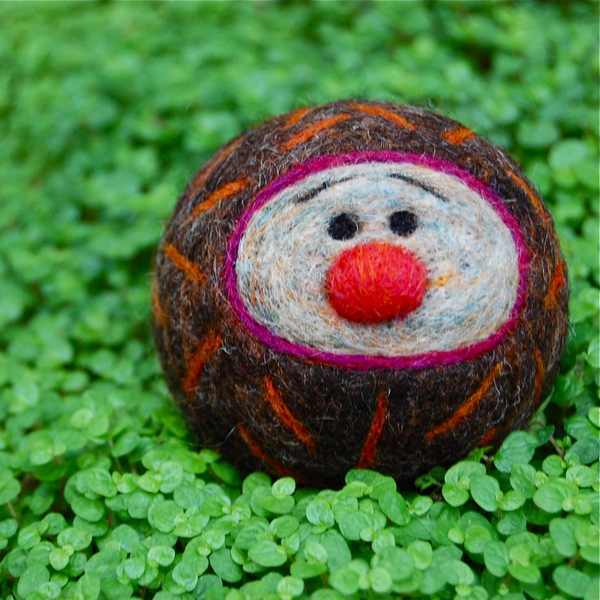 Since having my own babies a delightful trend in baby toys has emerged – felted wool. While I couldn’t take full advantage of felted rattles, balls and friendly creatures for my own children, I can for friends with new babies and my first shopping stop will be Asher Jasper. Vicky, the designer behind Asher Jasper, has a charming international story – originally from England, she fell in love with an American artist on a painting trip to Italy and now lives in southern California where she is now surrounded by a “sea of wool”, the raw material for her exceptionally beautiful baby toys. 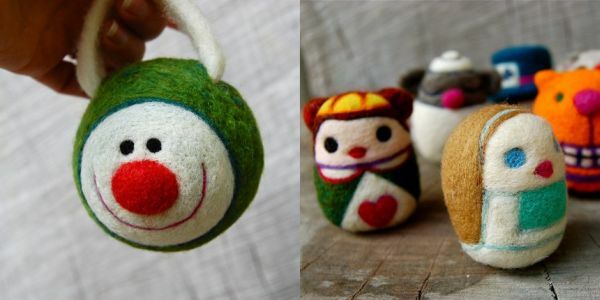 There are rattles, balls with bells inside them, ‘egg’ people and amazing felted wool ‘playscapes’. 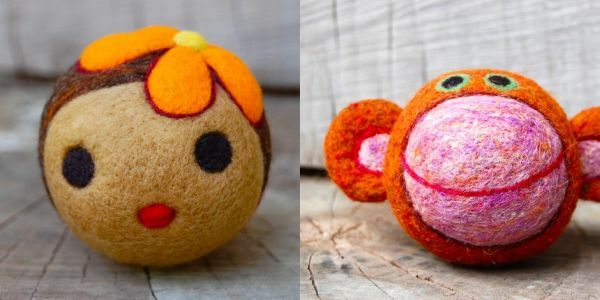 The colours are vibrant and the characters are unique – there are cheeky monkey face rattles, funny little ‘egg’ boys in German lederhosen, sweet Hawaiian girl jingle balls and lots of fabulous animals including birds, hedgehogs, caterpillars and more. 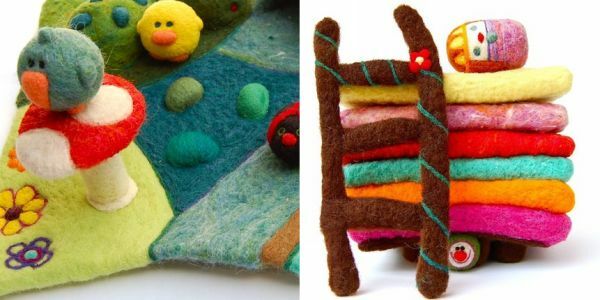 For the ultimate organic toy, the felted playscapes are exceptional – although I love the miniature animals that go with the toadstool playscapes, I do love the story of the Princess and the Pea, so the princess set with its cheeky little pea and rotund princess calls my name. Jingle balls begin at US$20, egg people at US$18, rattles at US$25 and playscapes at US$115. Asher Jasper ships to Australia.